Effective student learning is what we care about the most. 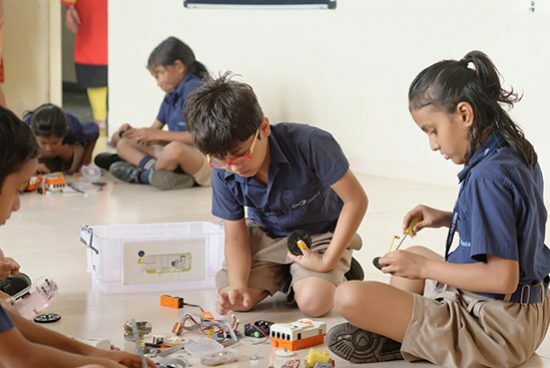 At Indus World School, we deploy cutting-edge technologies to improve learning outcomes – whether the technologies are centred around VR or AR or even deployment of AI for improved student learning. We are at the beginning of a technology revolution in schools. It is not uncommon to know that these days teachers are able to provide their students with immersive learning experiences utilizing not just virtual reality (VR) but also artificial intelligence. AI is on its way to improve student learning outcomes significantly by helping teachers with improved instruction, providing improved training, and collecting and analysing real-time data on student performance vis-à-vis various differentiated teaching strategies.